We have for some time now been looking at various equipment to prepare yourself for the winter cold that is coming; and in this connection there is no chance of getting around the ColdGear by Under Armour. It's designed to keep you warm and is among the best base-layer on the market. Come along and let's see as we pull the shirts over our heads and look into the products. Some say that there is no such thing as bad weather, only bad choice of outfit. As well as it might be annoying to be told, there is something about it. And as the winter cold is closing in, it's all about choosing your outfit wisely; this way you can stay out and play our beloved game, football. Whether we are talking about training or match, it is simply a must, in order to perform optimally, that you keep the correct body temperature. Otherwise your body will use too much energy to keep itself warm; energy that otherwise could have been used to make that brilliant pass, the deciding strike or the necessary sprint. Therefore, it is essential to wear an outfit that is optimised to keep you warm and provide the best conditions for your muscles to work. 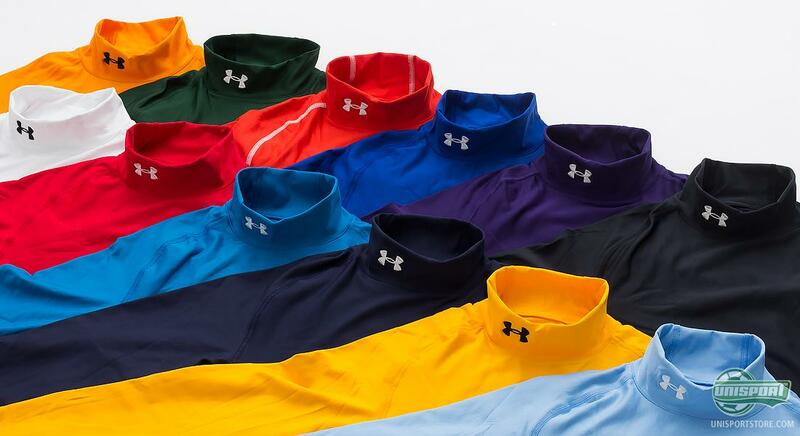 And one can only say, this is what Under Armour's ColdGear provides. 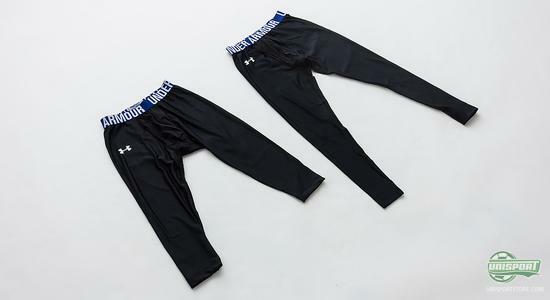 The Under Armour ColdGear Evo Gameday Compression Mock is a base-layer product, that is made to keep your body warm in any situation, and especially when the freezing cold is trying to get to you. It distinguishes itself from other base-layer products be being very soft and comfortable, almost like cotton, on the inside; and doesn't have that more synthetic feeling that we know from other base-layer tops. The shirt is made of a double-layer, that is optimised to be warm and comfortable on the inside and fast drying on the outside. The shirt has a tight fit and provides good compression, which keeps your muscles fresh and also provide fast recovery. The principle is, that the compression ensures that your blood will circulate optimally to your muscles, to prevent you from getting the sour feeling that your would otherwise get. 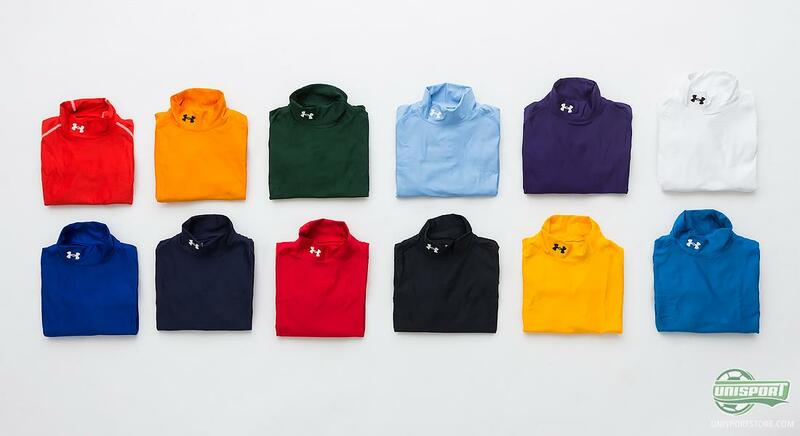 The shirt is developed with the Under Armour patented '4-way-stretch', that provides great moveability and freedom of movement. If you are bot sure about which colour to go for, then there's luckily a wide selection of options the choose from. If you would like to get your hands on one of the excellent Under Armour ColdGear Evo Gameday Compression Mock, then you can see much more right here. It is, although, not just the upper body that needs to stay warm and get compression. Your legs are just as important in this matter, and Under Armour are luckily well aware of this. With pants in various lengths, the Americans ensure that you can stay warm no matter the weather conditions, and no matter if you prefer wearing shorts or longer pants. 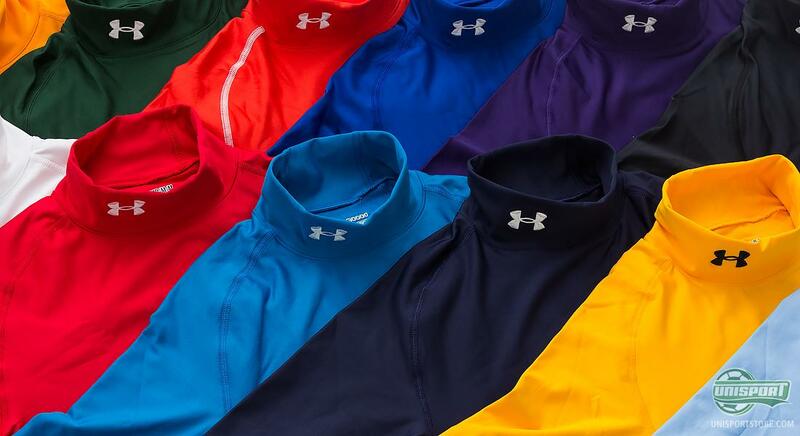 Under Armour  ColdGear EvoCompression Tight is the shortest in this series, but what it lacks in length, it certainly has when it comes to performance. It is designed with a focus on keeping your muscles warm and with the '4-way-stretch' system you will have freedom of movement to ensure that it doesn't limit your play. Are you more of a long pants kind of guy, there is still no need to worry that you will loose to the winter cold. 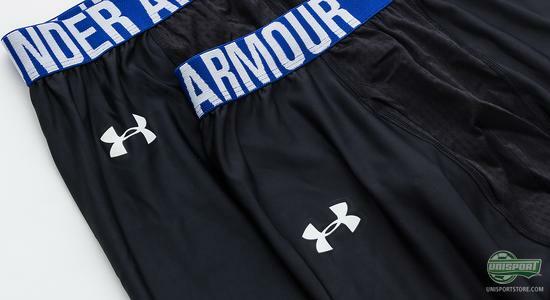 With The Under Armour  ColdGear Evo Compression Vent ¾ Tights, that reach the middle of your shins, you will a pant will ensure fully functional leg muscles throughout the game. If this is still not enough for you, you can go for The Under Armour  ColdGear Evo Core Compression Tights, which are full length pants, all the way to your ankles. With the Under Armour base layer collection, there is no reason to fear the freezing cold of the winter. Normally the cold weather can be very tough on your muscles, and seriously limited their ability perform. But with both warmth and compression your muscles should be able to brave the cold of the winter and keep your football going, and stay sharp all the way to the beginning of the spring season next year. Under Armour's cold gear is technologically developed to help you stay warm and keep your muscles going with compression that ensures correct blood flow. 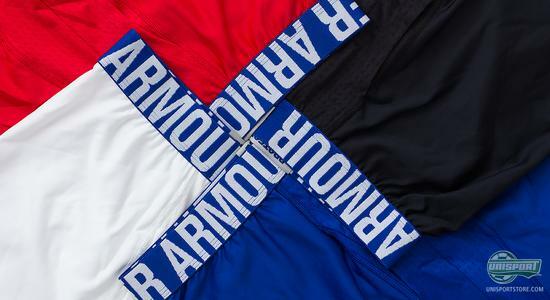 What do you think of Under Armours Cold Gear? And what equipment do you normally use during winter? Feel free to leave a comment in the box below, or on Facebook and Twitter.